Christmas Cookies – Italian Ricotta | Let's Eat! One of the most memorable traditions in my house growing up is the cookies that my mother made every year. She started weeks ahead of Christmas day and baked hundreds of cookies of many varieties. When I got married my wife continued the same tradition and does most of the same recipes she got from my mother. We give them as gifts to our friends and neighbors but we all get our fair share! This is just one of the recipes, but it’s my favorite! In a bowl, cream butter and sugar. Add the eggs, one at a time, beating well after each addition. Beat in ricotta and vanilla. Combine flour, salt and baking powder; gradually add to creamed mixture. In a large bowl, butter, confectioners’ sugar, vanilla and enough milk to reach spreading consistency. Frost cooled cookies and immediately decorate with sprinkles. Store in the refrigerator or freezer. Makes 8-1/2 dozen. 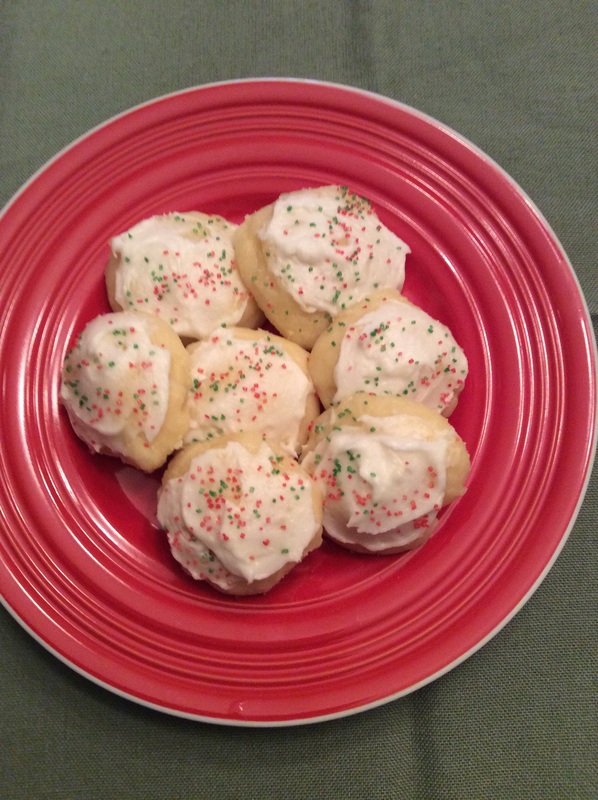 This entry was posted in Cookies, Recipes and tagged Italian cookies, Italian ricotta christmas cookies, Ricotta cookies. Bookmark the permalink.